Vintage spoons get a second chance to shine thanks to Maker Karen Ngai of Monkeys Always Look. Karen sources spoons from flea markets, auctions, and yard sales around the country to create her one-of-a-kind markers. Karen flattens and hand-stamps each spoon in her San Diego studio. 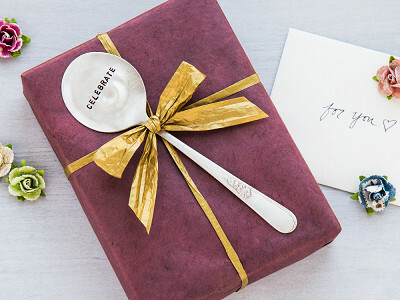 You can pick a spoon that already bears a phrase—like Celebrate, XOXO, or Thank You—or you can customize your own with a name, date, or short message. 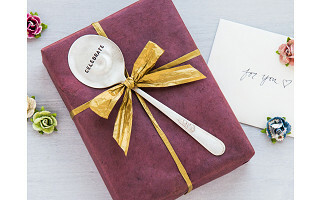 Whether you use a spoon as an add-on to a gift, as a garden marker, or a token of thanks, it’s a special and unique touch that makes for a thoughtful and beautiful presentation. Can you eat with these? No, these spoons are meant to be used as markers and not as eating utensils. These are made from vintage silverware and since they are sold as plant markers, food-safe grade spoons are not selected. Eatable grade spoons are indeed more expensive as they are also harder to get. What's the meaning behind the name Monkeys Always Look? 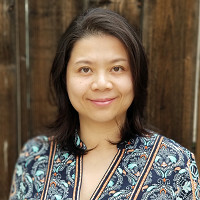 The Maker was born in the year of monkey (Chinese astrology) and her curiosity and personality fit the name. What are the cleaning instructions for these in the event spoon becomes tarnished? You can wipe the tarnish off with any silver tarnish remover cloth or pad. You can also use steel wool and gently brush off the tarnish if you want to maintain the brush finish. Please do note that using steel wool can remove some of the silverplate on the spoon.